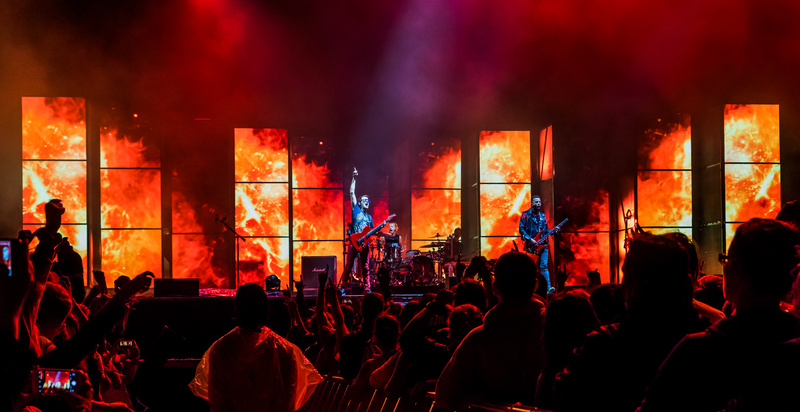 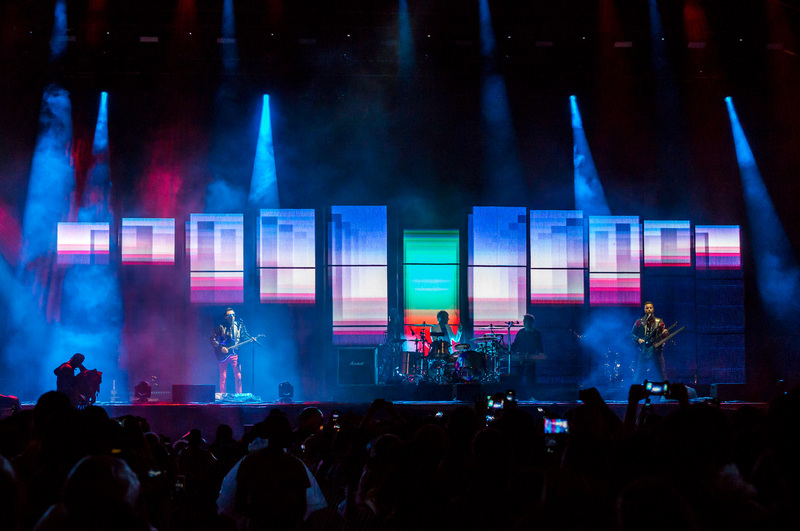 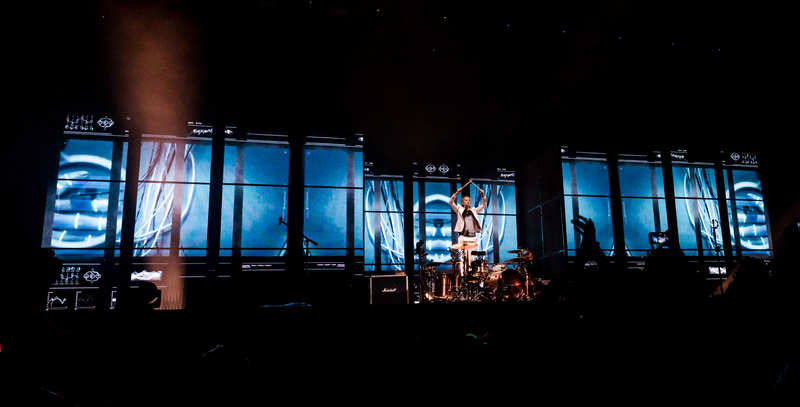 Moment Factory raises the bar for festival shows’ creative direction with immersive visuals, real-time avatars and custom 3D effects for Muse. 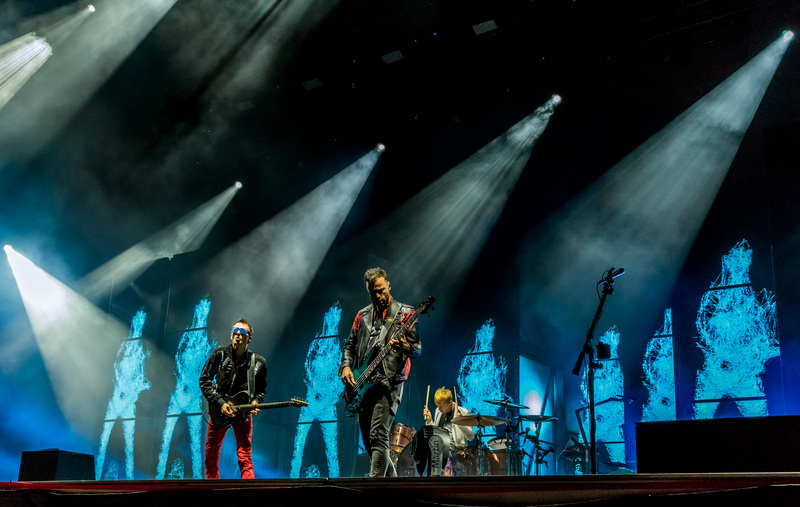 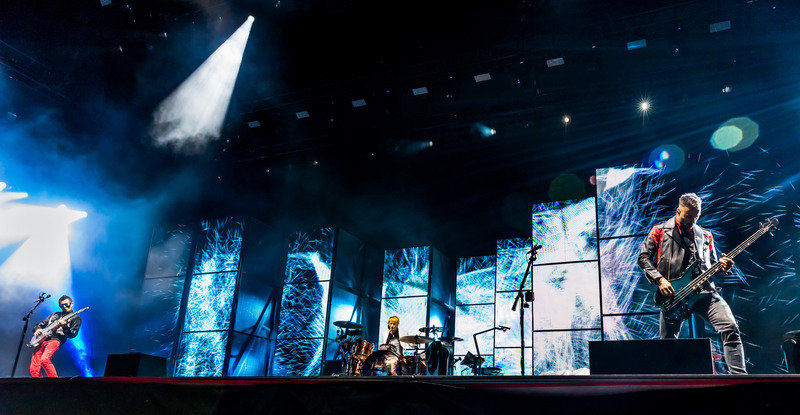 This tour is the latest installment in Moment Factory’s ongoing collaborative partnership with UK rock icons Muse, who asked us to oversee the creative direction of an immersive experience for outdoor music festivals. 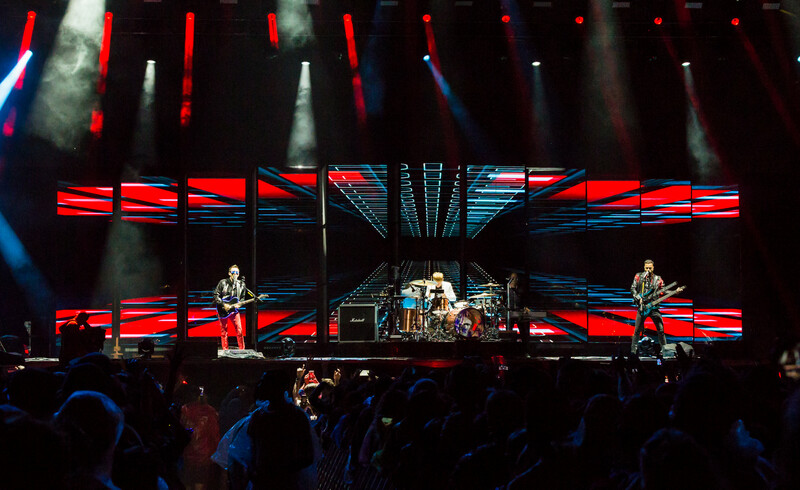 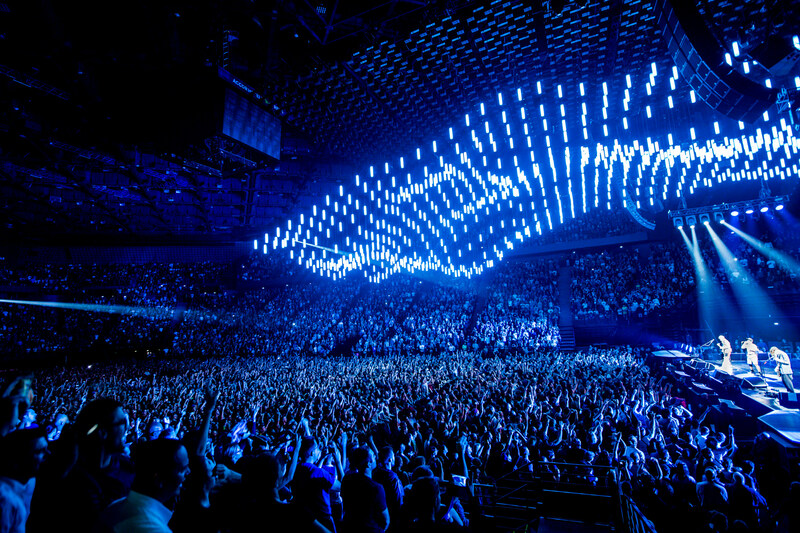 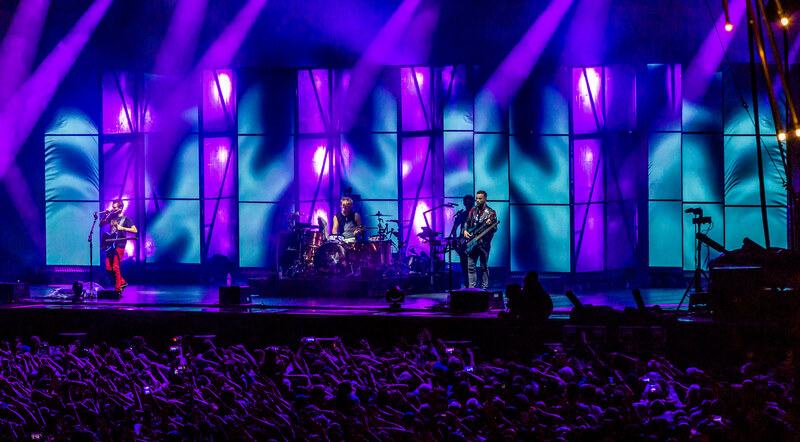 The show design had to account for festival stages’ fast changeovers and limited overhead installation space while still delivering the power fans expect from Muse’s incendiary live concerts. 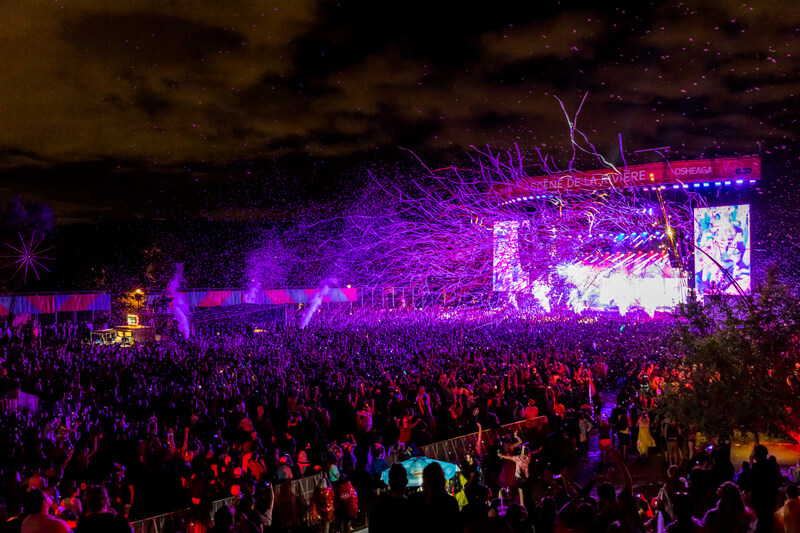 We developed an adaptive modular system on rails to transition quickly between acts. 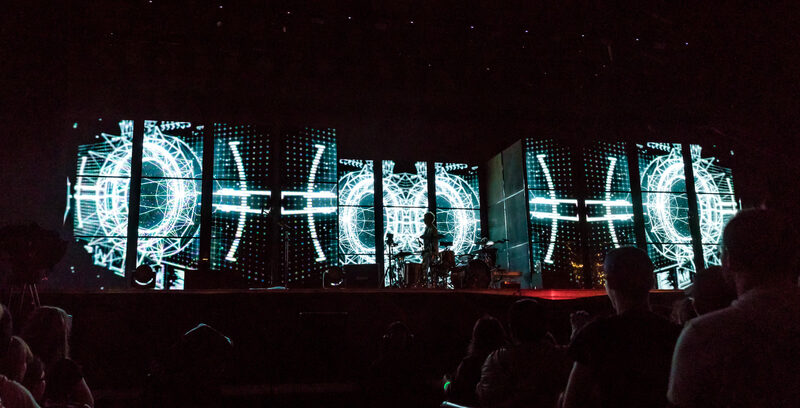 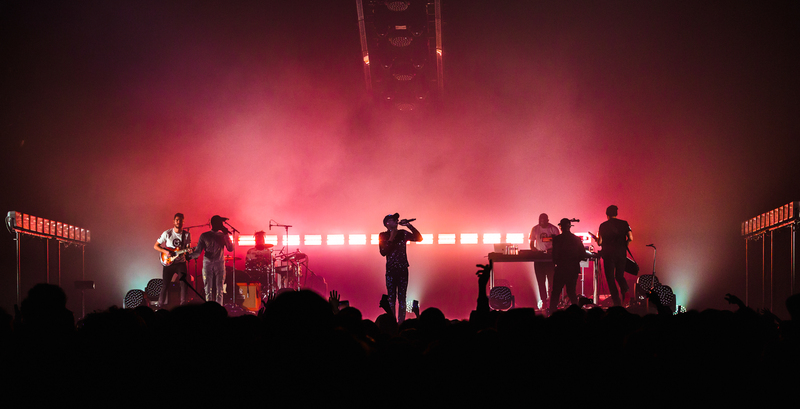 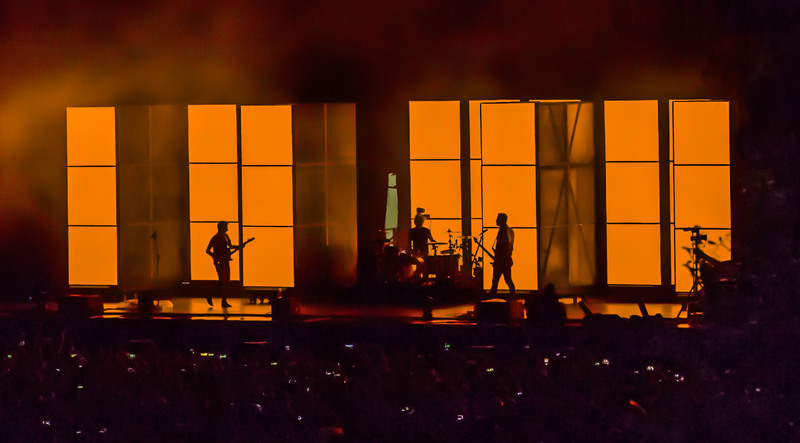 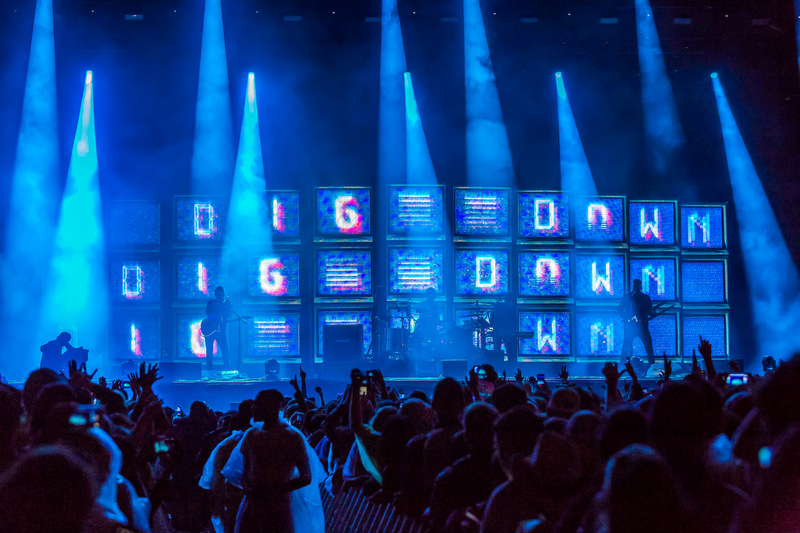 Powered by monoliths with built-in lighting and 11 kinetic volumetric screens, the made-to-order stage is a canvas for content that amplifies the band’s dystopian themes. 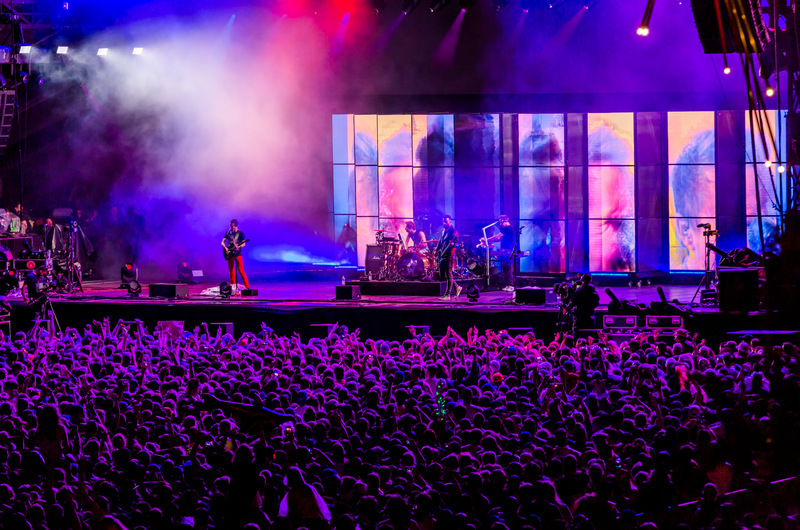 Muse’s exhilarating set is played against a backdrop of intense visuals evoking totalitarianism, mind control and surveillance. 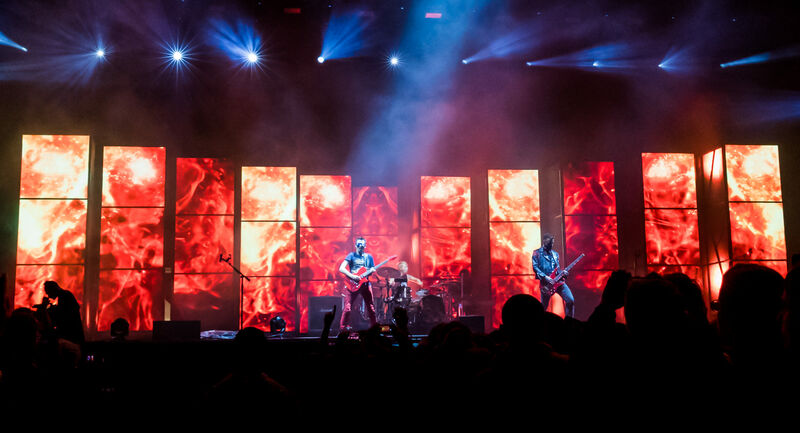 Real-time 3D tracking produces interactive avatars of the band rendered with special effects developed in-house for Muse. 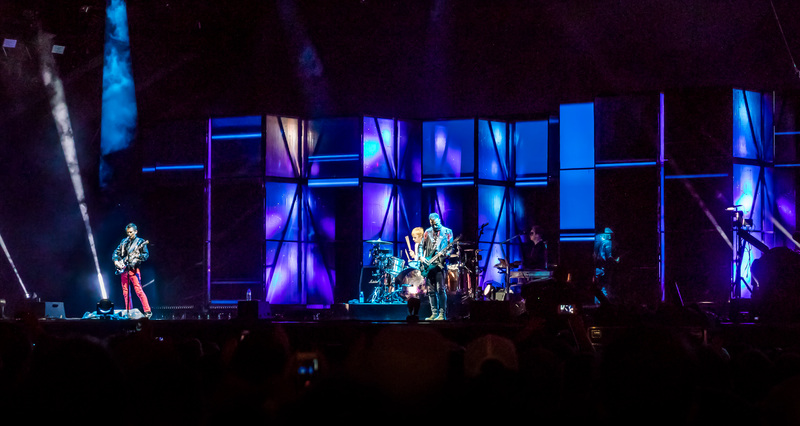 Our 360° approach to show design fused custom stages and equipment with innovative visuals tailored to an outdoor concert experience. 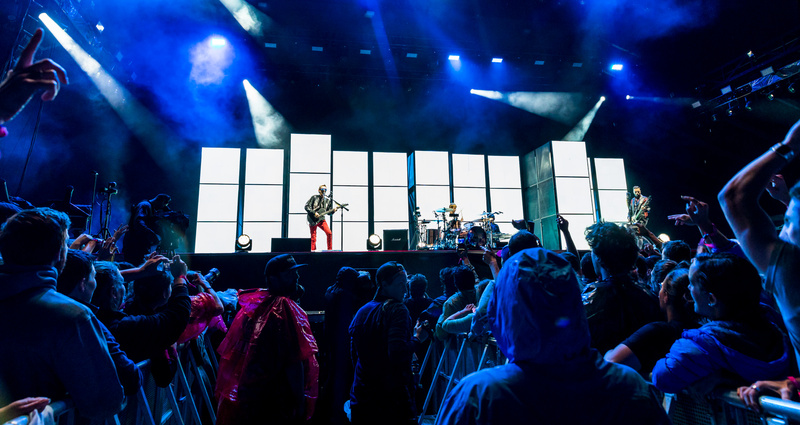 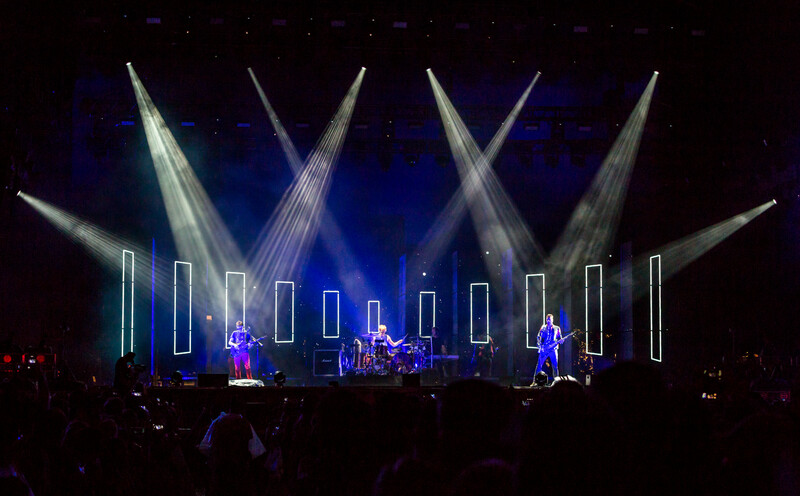 This set-up fostered an emotionally charged ambience for Muse’s dynamic live performances, setting a new standard for what a festival show can be.